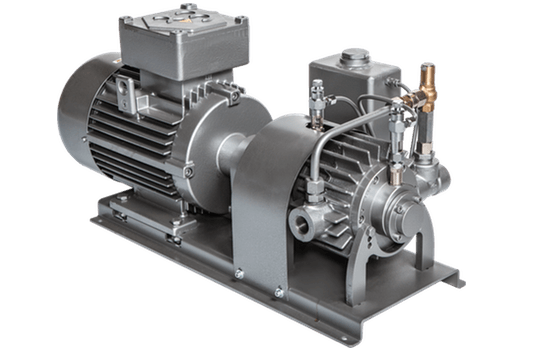 Oil-injection, air-cooled rotary vane vacuum pumps. Supplied with a standard electric motor, oil separator, check valve and vibration damping feet. Primary user sectors: vacuum packaging, glass processing machinery, marble working machinery, thermo-moulding machinery medical vacuum applications, extruders. 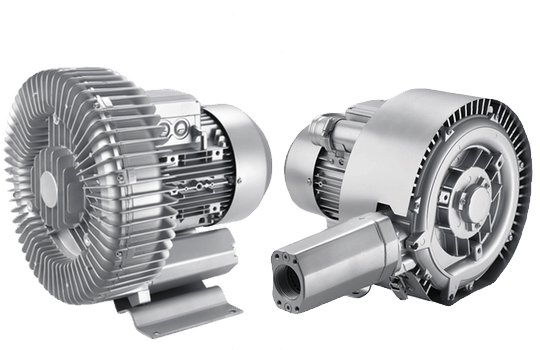 Dry-operated rotary vane vacuum pumps. Designed to operate completely dry and without periodic maintenance. 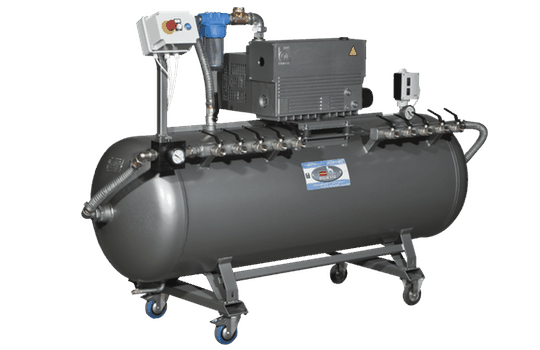 Can be used as vacuum pumps, compressors, or to create a vacuum and pressure simultaneously as suction – pressing systems. Primary user sectors: water treatment systems, suction tables for pantographs, aeration tanks, filling machines, parts drying machines, soil remediation, gas/fume suction, packaging, pneumatic conveyors. 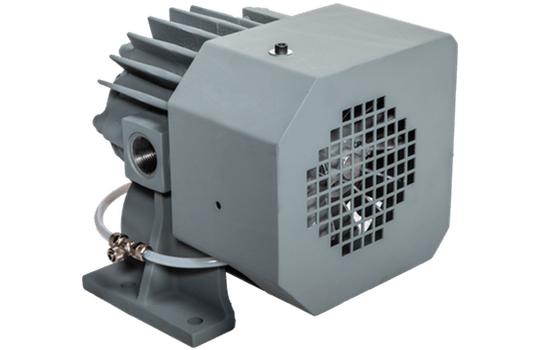 SCB side channel blowers operate completely dry and can be used as compressors or suction systems. Built in die-cast aluminium and designed to operate in continuous production. Guaranteed low level noise emissions. 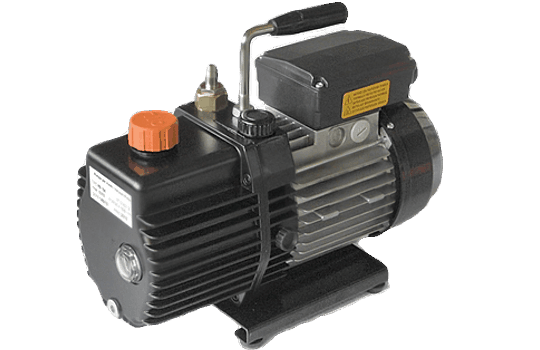 Single or double stage oil-bath vacuum pumps. Built in light alloys and a single-block design, allowing for a high absolute pressure. Primary user sectors: chillers and air conditioning, ultracentrifugation, laboratory applications, lyophilization, spectrometry. Rotary vane compressors with adjustable oil-drop lubrication and air cooling. Applications include gas transfer, handling of sludge in water purification processes, and maintaining constant working pressure in operating plants. Primary user sectors: GPL gas transfer systems, sludge handling. 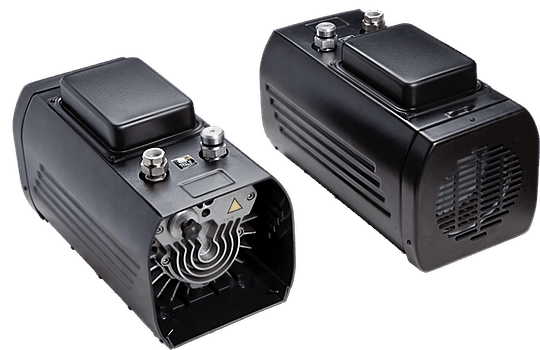 Rotary vane pumps with adjustable oil-drop lubrication and air cooling. Designed for medium capacity vacuum operations. chemical industry and for the thermo-moulding of plastics. Versions with oil loss operation are used in very heavy and dirty processes, where continuous lubrication with fresh oil helps protect the pump’s internal parts. Primary user sectors: chemical industry, thermo-moulding of plastics. Depression and electro-depression with oil injection lubrication, specially designed for use on self-priming centrifugal pumps. Primary user sectors: construction sector, earth moving. 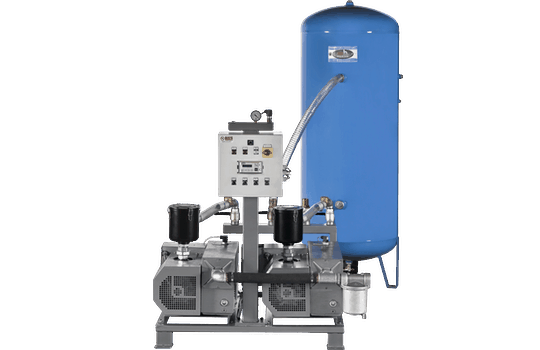 Centralized vacuum systems consisting of one or more oil injection or dry lubricated pumps, including a horizontal or vertical tank and electrical control panel, designed to always guarantee the desired vacuum setting. Consisting of a vacuum pump and single or double adjustable vacuum. Different accessories available, such as a vacuum regulator and active carbon filter. BGS GENERAL can design, develop and produce prototypes to satisfy every need. Vacuum pumps on trolleys complete with tank and electrical control panel. 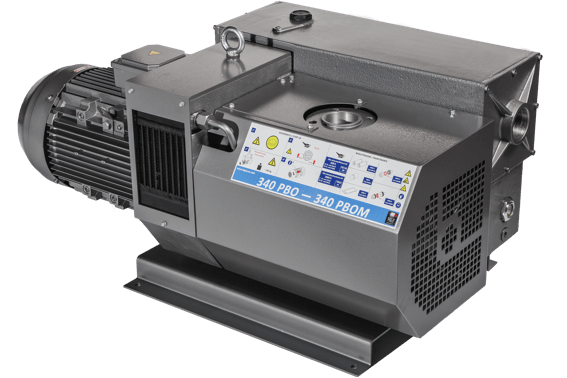 Oil/dry vacuum pumps with anti-condensation tank. 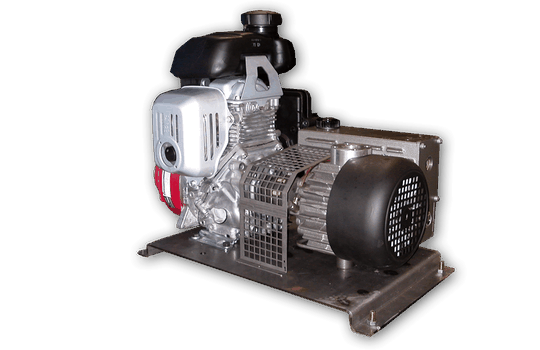 Vacuum pumps / depression systems combined with a gasoline or diesel combustion engine. We can design “customized turnkey systems”. 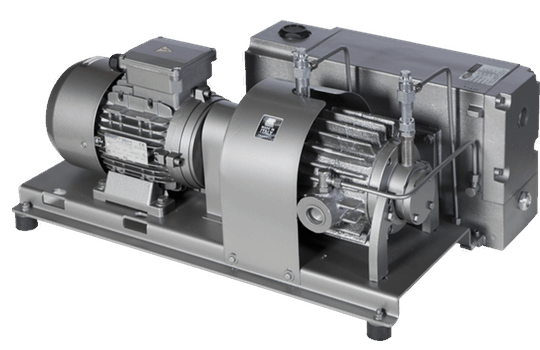 Two-stage liquid ring vacuum pumps with a capacity from 50 m3/h. Cast iron construction with bronze or stainless steel impellers, or entirely AISI316 stainless steel construction. Mechanical seals on the shaft. 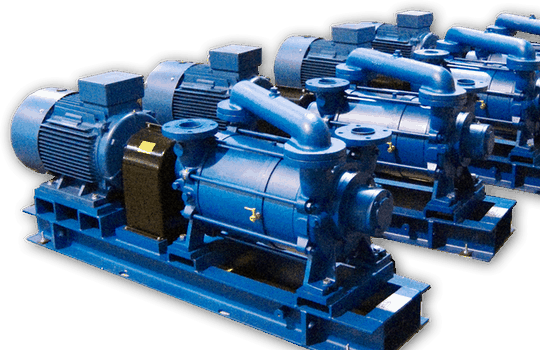 Pumps can be supplied complete with an electric motor or with bare shaft. Primary user sectors: chemical industry, extrusion of plastic materials, sugar processing, paper manufacturing.